Free WordPress Blog Theme. Fast is easy to use modern Ocius WordPress theme with lots of useful features. It comes with dummy data so that even a layman can easily setup it. Furthermore, Ocius is best ever crafted free WordPress theme for Blog, news, and Magazine. Ocius is a simple, easy to use, modern and creative, user-friendly WordPress theme with typography, fonts and color options. In addition, Ocius is responsive, cross-browser compatible and child theme ready. Fast comes with added custom widgets for a social, recent post and author, sticky sidebar options, footer widget, sidebar options, meta option, copyright option, social options, etc. Try this awesome theme now. Extract ocius.zip and upload the folder. Download Dummy data from here.-> Click Here to Download. Note: Your existing data may be lost, so make sure before uploading the dummy data. To create a post on your site, it’s easy. Follow the below-listed methods. Set the featured image for the post from the right corner. Set that post in the Category. Add more post like the above methods. To create a page on your site, it’s easy. Follow the below-listed methods. Set the featured image for the post from a right corner. Add more page of the above methods. To create categories, follow the below steps. The added category will appear on the Add Post Page. 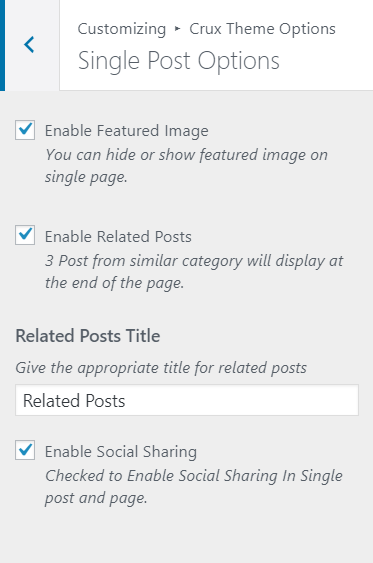 Ocius Comes with Added Custom Widget for Featured Post, Social Icons, and Author Information. You can use the available widgets and custom widgets on the available widget area. This theme has Primary Sidebar area inside Appearance > Customize > Widgets > Sidebar. You can add the available widget inside there. This widget is specially developed to show recent post or selected category post on the sidebar on the sidebar. Category: Select the category to display the post. Number enter the number to show the number of posts. This widget will help to show the information about the author. You can check the demo to know more about it. Image: Select the image for the author. Description: Enter a short description for the author. If the Social menu is created on Appearance > Customize > Menus automatically the social icons will display on the sidebar. If the preview is fine, click on Save & Publish to save the changes. Select the required color for the background and Site Title. Select the best image for the site background. Select the required setting for the background. If the preview is fine, click on Save && Publish to save the changes. This theme comes with one menu locations. Primary Menu and Social Menu. This menu will appear on below the site title. Create a menu and add the items on the menu. Set the menu on the Primary. Set the menu on the Top. Add the menu and follow the same steps for Twitter, Instagram. Select the Social Menu for this. It includes the options to manage the top header section. This section includes Sidebar Options, Content Show Options, Excerpt Options, Featured Image Options, Meta Show hide Options. If the preview is fine, click on Save & Publish button on the top to save the changes. Select Preferred Sidebar from this Options section of customizer help you to change the layout of your site. This theme has Right Sidebar, Left Sidebar, Middle Column and No sidebar Options. If you select the right sidebar, only the right sidebar will appear and the left sidebar will remain empty. Left Sidebar: If you select the left sidebar, only the left sidebar will appear and the right sidebar will remain empty. Middle Column: Middle Column options will help to hide the sidebar on your site and content will be on its position. No Sidebar: No sidebar options is useful to hide both the sidebar, left and right. You can show the content either from Content or Excerpt. Choose the preferred options from the drop-down. If preview is fine, click on Save & Publish button on the top to save the changes. With the help of this options, enter the excerpt length in Words. Enter the length for the blog excerpt length. Select the required image layout for the home page. The default is Full Image. Enter your own text for Read More. If the preview is fine, click on Save & Publish button at the top to save the changes. This options will help to manage the content of the single page. The related post appears just below the end of content in the single page. The related post will appear from the same category of the above post. Checked to show the related post. You can get more options for the related post in Premium Version. 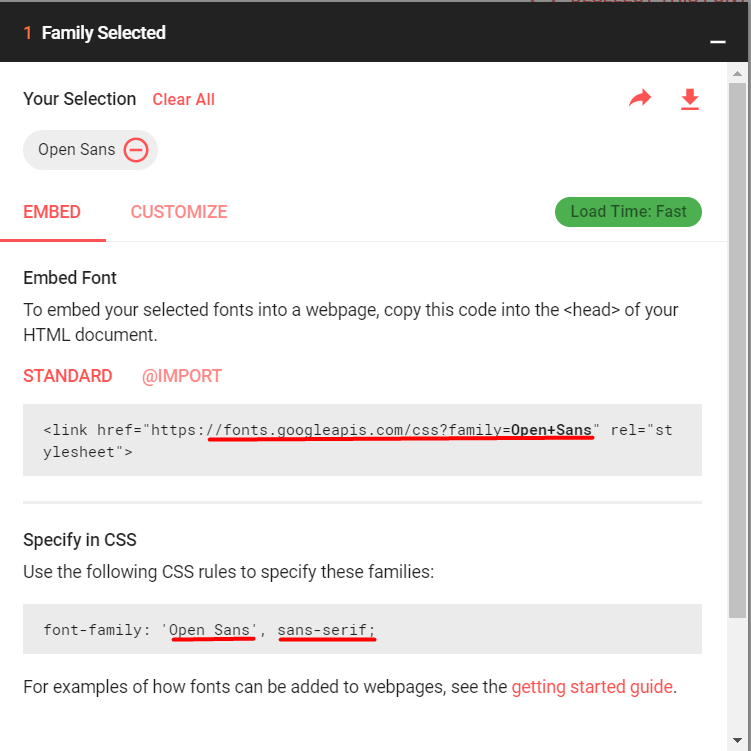 Google Fonts are used for font family. 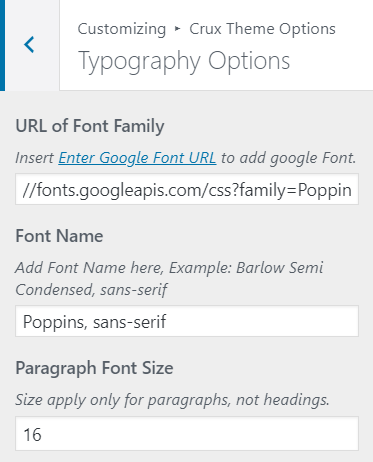 If you want to change the font family, go to Google Fonts Page. Paste this link in this field. Make sure, the link is similar with the above example format. You should change the font family name below to get the font changed. You should need to write the font family name. See the below image to know about the name of font family for the select font family URL. Hope this will work for you. You can change the font size, letter spacing and line height from the given options. Checked to enable the sticky sidebar. 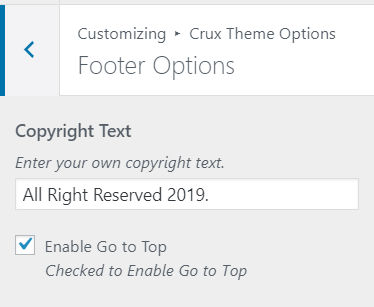 If you are looking for copyright text, go to top options in theme, you can find inside footer options. Check the options for copyright text. You can check other available options inside footer section. Extra option including breadcrumb option, and breadcrumb text. 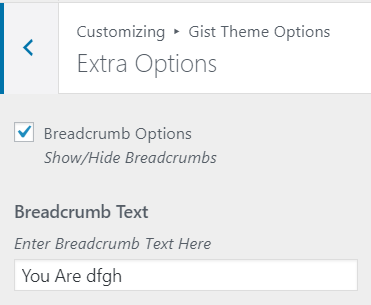 Check these options for enabling breadcrumb in inner pages. If you have any further confusion regarding the theme, you can use the support forum.